That would shine like the last line of cocaine. On his mouth, a horizon, begging. Lebohang ‘Nova’ Masango is a writer, poet, activist, feminist and speaker – living her best life, in love and service to girls and women. She writes for Essays of Africa magazine and the acclaimed website for teen girls, Rookie Mag. 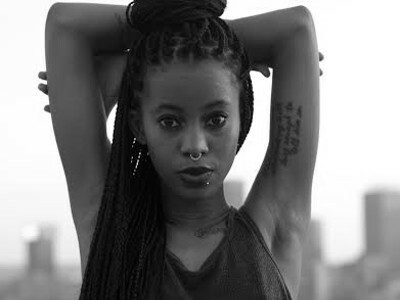 She is currently featured on musician, Reason’s song “Endurance” alongside Hip Hop Pantsula. She is the ambassador of the ‘Zazi’ campaign, the official sexual health programme for girls and young women across all higher education institutions in South Africa. She has also collaborated with Zonke Dikana on the ‘Zazi’ theme song. She was the youth representative at the UNAIDS’ November 2014 meetings in Geneva, Switzerland to address sexual health programming concerns with global stakeholders. Nova has been invited as a speaker at the 7th Annual South African AIDS Conference in Durban. She has been published in the July/ August 2015 edition of the renowned Poetry Foundation’s publication, Poetry Magazine.